To build a website one has to deal with various aspects nowadays. 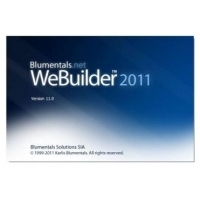 WeBuilder 2011 is an advanced text-based editor including a wide range of features that make it interesting for the web developer. You get an FTP and SFTP browser, a code snippet library, functionality for search and replace inside files, a multi-item clipboard, Project Management support, a built-in Web Server.